Eight years ago, I started this blog in direct response to what I and many other teachers around the state perceived as a climate of teacher bashing brought on by New Jersey's governor, Chris Christie. Today is Christie's last day as governor. Somehow, we teachers survived. I'm only being a little hyperbolic when I say this. 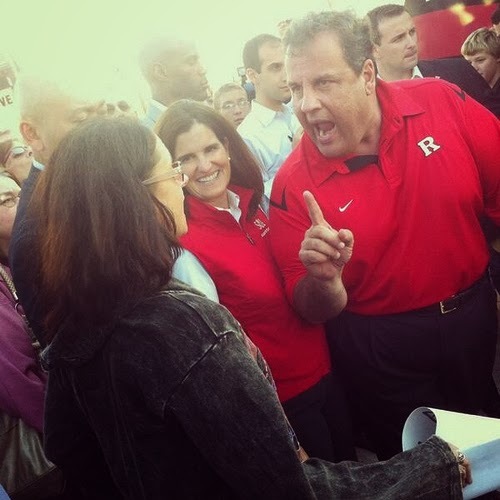 When I look back on Christie's two terms, I see both a series of policies and a set of attitudes that were -- and are -- a threat to the teaching profession in New Jersey. - The value of our modest pensions and health care benefits (which are less generous than those found in the private sector) continues to erode, and current retirees have lost their cost-of-living-increases. We were already paying a wage penalty for choosing to become teachers. Now, Christie's appointees want us to give up even more of our compensation, even as pension fund managers collect outrageously high fees. - New Jersey teachers are subject to an innumerate, illogical evaluation system that uses arbitrary weights of error-prone measures of "growth" that appear to be significantly biased. In short, NJDOE under Chris Christie has created an unvalidated mess of a teacher evaluation system that wastes time and money. - Despite these serious problems with NJ's evaluation system, Christie has worked for years to undermine tenure and other workplace protections for teachers -- which happen to also be protections for taxpayers and students. - Christie has demeaned the professionalism of educators by consistently appointing people into leadership positions who have neither the experience, the qualifications, nor the track records necessary for success. - Christie has promoted the expansion of charter schools, which hire less-experienced teachers at lower pay than hosting public district schools. Many of these charters have serious issues with accountability and transparency, yet Christie enthusiastically supports them. Christie's administration has also turned a blind eye toward charters that clearly do not enroll the same types of students as their hosting public district schools. He has also actively promoted policies that disproportionately affect teachers of color through pubic school "renewal" and charter school expansion. - Perhaps most important: Christie has tarnished New Jersey's legacy as a leader in school funding reform by promoting inequitable, inadequate school funding schemes and repeatedly ignoring the state's own law regarding school funding. Add to all this Christie's bullying, preening, sneering, dismissive, sexist attitude toward teachers -- no, not just their unions, but teachers themselves. When you total up all of the above, it really is remarkable New Jersey's teachers are still doing the great work they do every day on behalf of this state's children. Does our profession need to improve? Of course. But Chris Christie's constant undermining of public schools and public educators has done nothing to improve the evaluation, compensation, work conditions, or prestige of New Jersey's teachers. He has made the profession less attractive, which inevitably means fewer of our best and brightest are considering teaching as a career path. 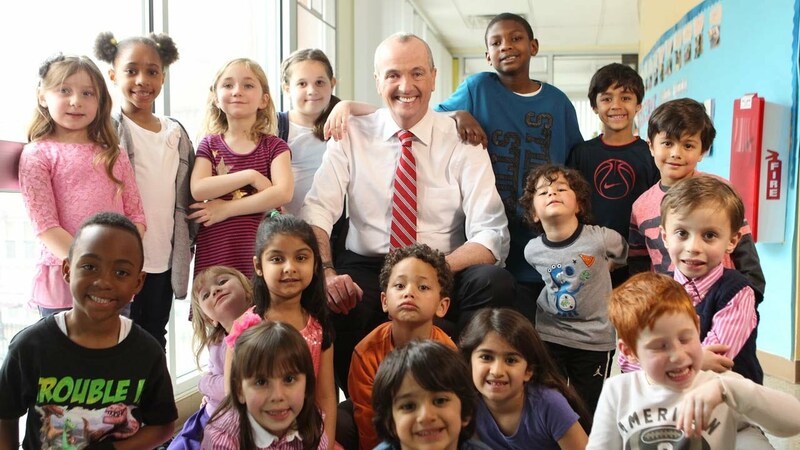 Phil Murphy has a very difficult job ahead. Years of fiscal irresponsibility -- and, yes, I will be the first to say this recklessness long predates Chris Christie -- put him in a very difficult spot. There's little doubt in my mind health benefits for teachers will have to be reconfigured, and it's hard to think of a scenario where we come out ahead. Our policy on state aid to schools needs an overhaul, as does our tax policy. None of this will be easy. But at least we will have a governor who supports public schools and public school teachers. After eight years, I'm looking forward to going to work on Tuesday knowing the governor isn't going to publicly blame me and my fellow teachers for the many problems New Jersey faces that we didn't create and we can't be expected to fix on our own. 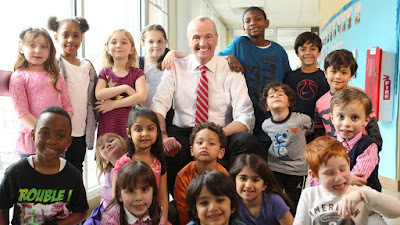 Best of luck, Governor Murphy. ADDING: As I said, the whole reason for starting Jersey Jazzman was to push back on the anti-teacher rhetoric of the Christie era. I do believe this blog has evolved to become something more than that... and yet this first mission has come to an end. On his final full day in office, Gov. Chris Christie on Monday signed a controversial bill into law that will increase the pensions of former Camden Mayor Dana Redd -- a Democratic ally -- and some other elected New Jersey officials. Christie made no statement on the measure, which was one of 150 he took action on before he's set to leave office Tuesday. His office did not immediately return a message seeking comment. The Democratic-controlled state Legislature fast-tracked the Democratic-sponsored legislation in the final weeks before a new set of lawmakers were sworn in and Christie finished his eight-year tenure. The new law (S3620) allows some politicians to re-enroll in the state's Public Employees' Retirement System after being kicked out because they switched positions. Look, I really don't have a problem with anyone getting a pension. I really don't have a problem with this law. But it's utterly, totally hypocritical for Chris Christie, of all people, to sign this on his last day in office after eight years of relentlessly hammering away at the idea that public employee pensions are too generous and must be curtailed. The excuse that this only affects a few people, and therefore doesn't have a major impact, is completely beside the point. 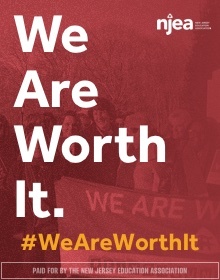 If we can't afford to meet our obligations as a state to workers for work they have already done, how can we possibly justify additional pension spending for a lucky few, no matter how small? See that quote at the top of this blog? We've been lied to, we've been insulted, and now this -- on Christie's very last day. I'll tell you something, though: tomorrow, I will join with thousands of New Jersey's teachers, and our cops and firefighters and social workers and DPW workers and everyone else at the municipal, county, state, and school district levels as we head off to work and do our damn best to make this the greatest state in the nation. Chris Christie was never good enough to lead us. He was never our equal. We are the backbone of the Garden State. We do the work that needs to be done. We are Jersey Strong. I will always be proud to be a New Jersey public school teacher, a New Jersey union member, and a New Jersey public employee. I know what I do every day for the people of this state. Every public employee does. Great post, Mark. Your work has been important to shining a light on the injustice of Christie's attacks on educators and public education as a whole. Thanks for all you have done! From his very first speech as governor to his last, Christie has derided the teachers of this state. He made it abundantly clear that we were to be his scapegoats for all of the state's problems. For our own families and economic hardship, he cares not one whit. He questions our motives and our dedication to our students. Never once did he acknowledge that teachers are taxpayers and consumers. Never once did he acknowledge that we are a highly educated and productive sector of the NJ economy. We merely have been fodder for his blind ambition. The tears I shed on the day of his departure will be tears of joy. Only You Can Prevent School Finance Ignorance!